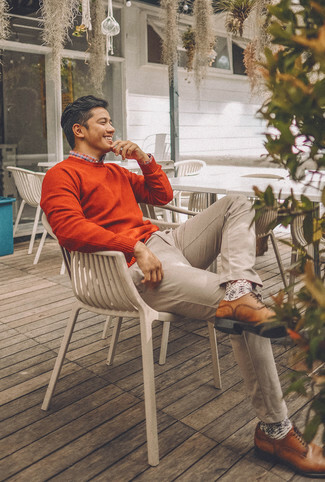 If you're hunting for a casual yet stylish ensemble, dress in a pink long sleeve shirt and Dockers straight leg alpha khaki pants from Lord & Taylor. Both items are totally comfortable and will look great paired together. If you're on the lookout for a casual yet dapper outfit, consider wearing a dark green long sleeve shirt and Dockers straight leg alpha khaki pants. Both items are totally comfortable and will look great paired together. A pair of burgundy leather tassel loafers will add some real flair to this getup. If you're on the hunt for a casual yet sharp look, dress in a navy bomber jacket and Dockers straight leg alpha khaki pants from Lord & Taylor. Both pieces are totally comfortable and will look great together. Complement your getup with beige suede slip-on sneakers. 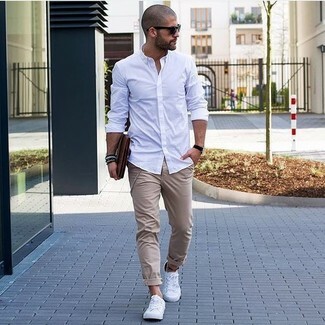 If you're hunting for a casual yet dapper ensemble, wear a white long sleeve shirt with Dockers straight leg alpha khaki pants. Both garments are totally comfortable and will look great paired together. Make white low top sneakers your footwear choice to make the ensemble current. 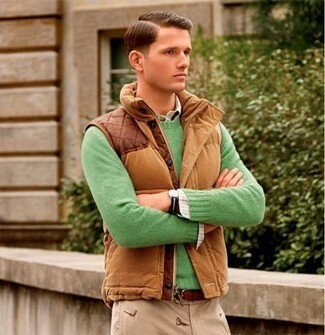 If you're hunting for a casual yet on-trend outfit, marry a brown gilet with beige chinos. Both items are totally comfortable and will look great paired together. 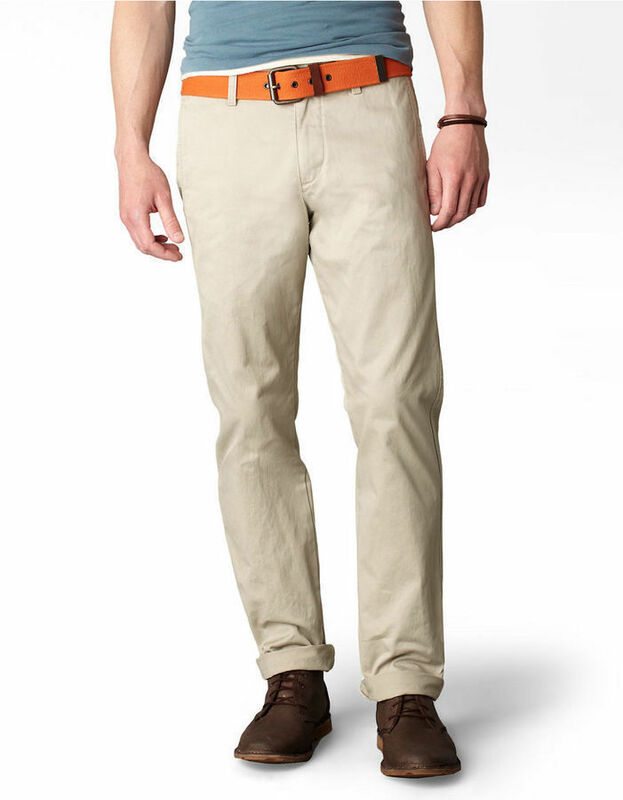 If you're looking for a casual yet on-trend getup, reach for an orange crew-neck sweater and beige chinos. Both items are totally comfortable and will look great paired together. Got bored with this outfit? Enter brown leather derby shoes to switch things up. 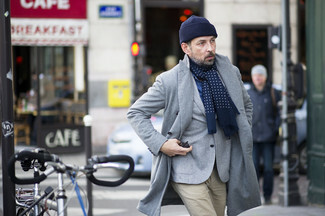 For a smart casual getup, try teaming a grey overcoat with beige chinos — these pieces go really nice together. So as you can see, outfiting dapper doesn't require that much effort. 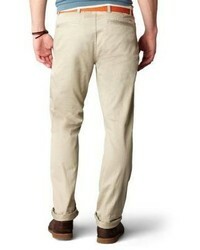 Just team a dark brown tweed blazer with Dockers straight leg alpha khaki pants and you'll look incredibly stylish. 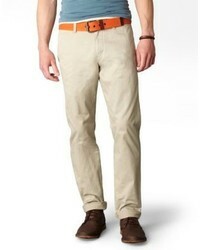 And if you want to instantly up the style ante of your look with one piece, add brown leather double monks to the mix. For a smart casual outfit, try pairing a grey blazer with Dockers straight leg alpha khaki pants — these pieces go perfectly well together. 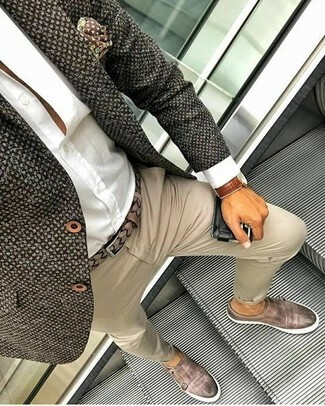 And if you want to instantly up the style ante of your look with one piece, enter dark brown leather derby shoes into the equation.